Cats are obligate carnivores, which means they need meat in their diet to thrive. Their systems aren’t designed to digest carbohydrates. A raw diet is one of the best ways to fulfill cats’ nutritional requirements, but raw food, even a commercially prepared raw diet, may exceed the comfort level for some cat parents. I don’t think it’s necessary to take an “all or nothing” stand when it comes to feline nutrition, but I do believe that it is important to feed our cats a diet that is as minimally processed as possible. There are few options for commercial minimally processed fresh cooked diets available. One of the best on the market comes from NomNom Now. Founded in 2015 and headquartered in Oakland, CA, NomNomNow delivers healthy and nutritious pet food made with fresh, restaurant-quality ingredients. The food is delivered directly to your home. NomNomNow meals are cooked weekly in the company’s local FDA-compliant kitchen. The meals are individually proportioned, tailored to meet the specific nutrition needs of each pet, and ready to serve with no preparation. All meals are delivered fresh, not frozen. You can then freeze the meals and thaw as needed. Delivery is free, with weekly, bi-weekly, and monthly options available depending on location to all 48 contiguous US states. All packaging is recyclable. NomNomNow uses the Auto-Ship business model, but subcriptions are easily updated, edited or canceled. The new NomNomNow Variety Pack is a great way to try this food for your cats. Each pack contains six 90 gram meal bags, three each of Chicken Chow-Meow and Flavorful Fish Feast, and a free bag of Flavor Flakes (a blend of bonito tuna flakes and dried beef liver.) No subscription necessary. $15 per pack, free shipping on orders over $30. For more information about NomNomNow, please visit https://www.nomnomnow.com/fresh-cat-food-recipes. *FTC Disclosure: The Conscious Cat is a participant in NomNomNow’s affiliate program. This means that if you decide to purchase through any of our links, we get a small commission. We only spread the word about products and services we’ve either used or would use ourselves. Lindsey, thanks for your observations. I make raw food for my cats and always cut up some of the meat as opposed to grinding it all. I do this for their teeth. If they have to chew the abrasive action of chewing helps to keep their teeth clean. I love your statement about cats being obligate carnivores and agree on the veggies. They have no need for the veggies. I started raw with my 15 year old Snuggles because of CKD. Eventually the vet had me start adding green beans or sweet potato in order to reduce the protein a little. I lost her 2.5 years later but I think the raw kept her with me those additional years. I now have three who are about 18 months old and they have been on raw since they came to me at about 8 weeks. They took to it right away with no transition and have been on it since. I make about 15 lbs of food every two to three weeks and it is a fair bit of work. But, if the time comes that I can no longer make it myself I will look at NomNom as an option. I tried raw with them and they just wouldn’t go for it. I tried making it myself, as well as from a few different companies that offer it. I definitely agree that their food needs substance and shouldn’t be mush. I just cut it into smaller bite size portions because if I leave the thumb-sized pieces, they swallow it whole (and then it comes up later). I really do like the food and will continue to order from them, but really wish I could have them leave out the veggies. 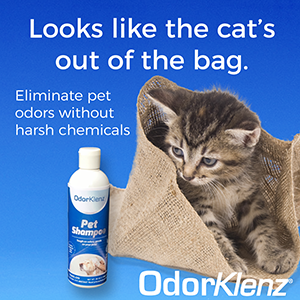 It always smells fresh and the cats like it!